Many Kitchissippi readers know him as the Chair of the Rosemount (library) Expansion and Development group, a position he acquired after he attended their first meeting with his wife, Jean, and, competent and experienced as he is, was asked to chair the group going forward. That’s been two years now – of public consultations, brainstorming, municipal support and input and, as Richard Van Loon says, a lot of hard work – culminating in the release of the READ committee report in September 2016. Rosemount Library, located on Rosemount Avenue close to Wellington, was originally built in 1918. It is the only Carnegie library remaining in Ottawa and has a high circulation rate for its size, but has not had any significant renewal since 1982. 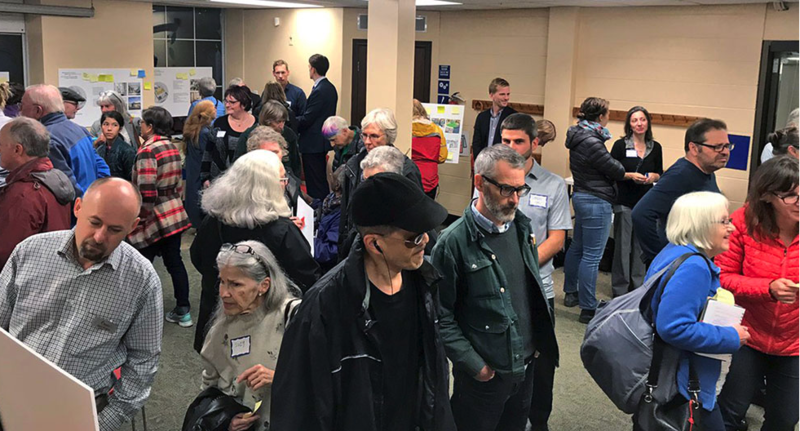 There has been discussion of expansion and renovation over the years but the Library Board and library staff recently recommended hitting the pause button on renovations to Rosemount, pending a business case for re-location and expansion……. Click here for the full article. Kitchissippi Times Dec. 8, 2016 pp 10-11.